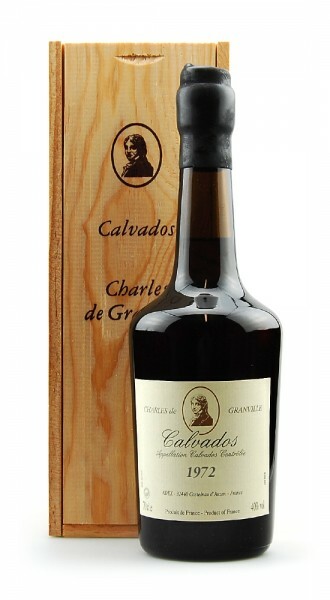 Produktinformationen "Calvados 1972 Charles de Granville"
Verkostungsnotiz Calvados Charles de Granville 1972: Bright amber colour with golden highlights Lovely nose evoking a soft harmony of candied fruits and gingerbread as well as liberating a magnificent fragrance of caramelised apples and soft vanilla wood notes. The mouth is rich and harmonious expressing a subtle sensation of blended exotic fruits and roasted coffee. The finish is long and beautiful with a marvellous impression of vanilla rancio and roasted hazelnuts.